A teenager was hit and stabbed during an attack by a masked gang on the Danesholme estate in Corby yesterday (Tuesday). The 18-year-old was confronted by a group of people, who all had their faces covered, as he was walking in the area of Copenhagen Road and Boden Close. 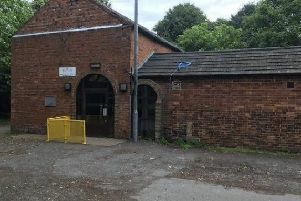 The incident happened sometime between 7pm and 10pm and officers are asking anyone who witnessed the incident or saw anyone acting suspiciously to get in touch.